Look, we're not saying you need to get drunk on Easter. We're not even saying you should get drunk on Easter. 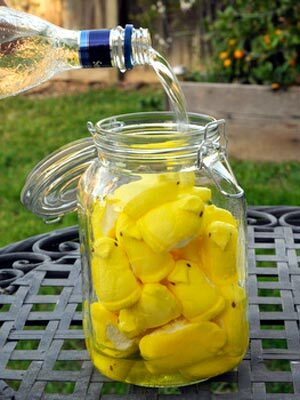 We're only neutrally presenting you with the following information: There exists a recipe for Peep-infused vodka. Photo: Courtesy of Baking Bites.